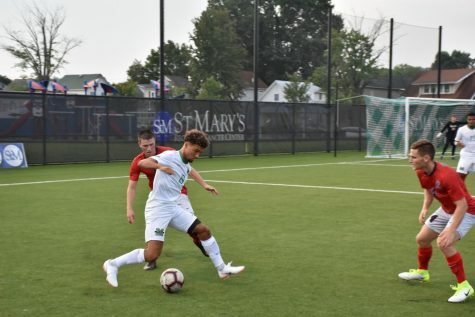 Marshall University men’s soccer fell 2-1 in overtime to FIU Friday at Hoops Family Field. 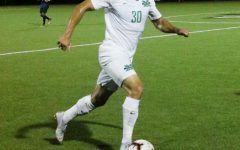 The Herd moved to a win-loss record 2-2-1 (0-1 C-USA), while defending regular season Conference USA champion, FIU, won its first match of the season and moved to a win-loss record of 1-3 (1-0 C-USA). After 1 1/2-hour weather delay, Marshall scored first on an unassisted goal by freshman midfielder Vinicius Fernandes, after he stole the ball from an FIU defender. Marshall’s defense almost prevented FIU from scoring in the first half. 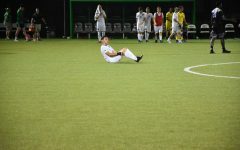 However, FIU senior forward Santiago Patino scored with a bicycle kick and tied the game at one (assist from Andrew Booth) in the 40th minute. 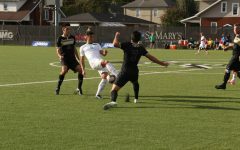 Patino was selected as the C-USA preseason Player of the Year. Marshall and FIU went into halftime tied at one. 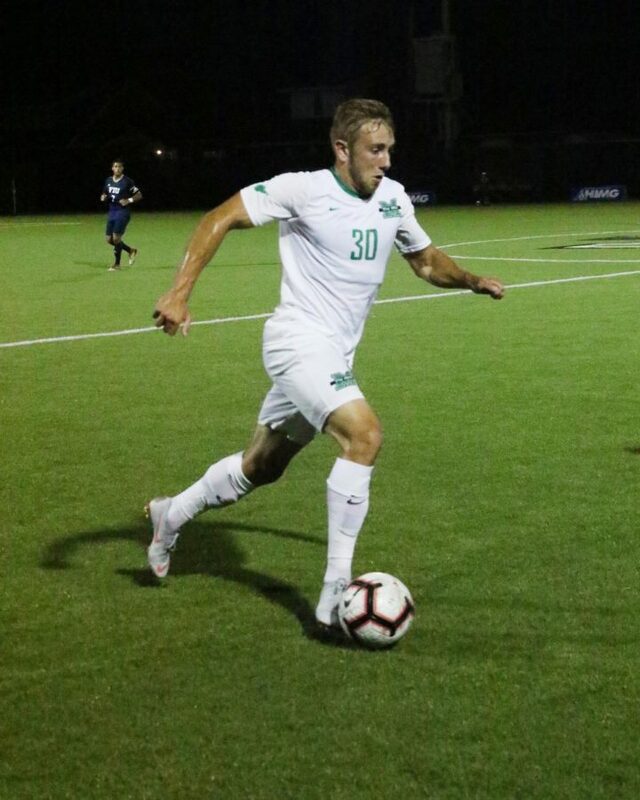 In the 53rd minute, Marshall sophomore forward Pedro Dolabella took a header that was saved by FIU senior goalkeeper Hugo Fauroux. 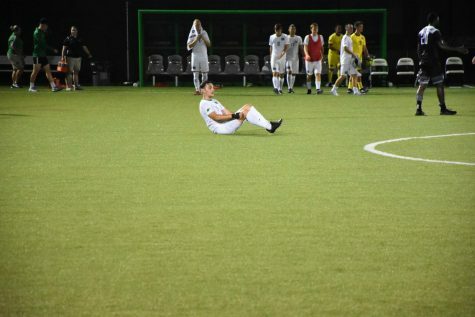 Dolabella took another shot in the 55th minute but missed wide right. “We had three glorious chances where we just have to tap the ball in the goal and we don’t,” Grassie said. 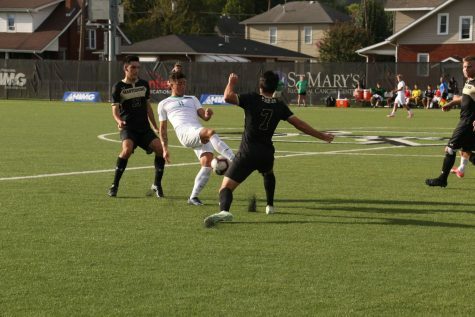 Three minutes into overtime, Patino scored the game-winning goal off an assist by Inigo Sagarduy. The Herd finished the night with two shots on goal and five fouls, the Panthers finished with four shots on goal and 10 fouls. The Herd’s next match will be in Charlottesville, Virginia Tuesday at 7:00 p.m. against the University of Virginia.